Shaquille O’Neal really loves Canada. I mean, like, a lot. Write it down, take a picture. Send it to whoever you want. The charismatic 7-foot, larger-than-life personality said as much while in Vancouver this week as the keynote speaker at the 25th annual JCC Sports Dinner. You knew ‘The Big Aristotle,’ wouldn’t disappoint, particularly in a city and country that he holds near and dear to his heart. O’Neal spoke about a wide variety of topics, including his thoughts on Shazam (he said it was the worst movie ever) and Charles Barkley, who he says doesn’t wear underwear. In speaking with TSN 1040’s Matt Sekeres on Wednesday, Shaq couldn’t contain his excitement when talking about the Great White North. Part of the reason why Shaq loves Canada, and Vancouver in particular, is because of Dr. Alex McKechnie. O’Neal credits the Vancouver-based physiotherapist for saving his career. Two doctors in the United States told him he needed surgery, which would keep him out nine months in a contract year. McKechnie was the only one who said he could rehabilitate ‘the Diesel’ without going under the knife. 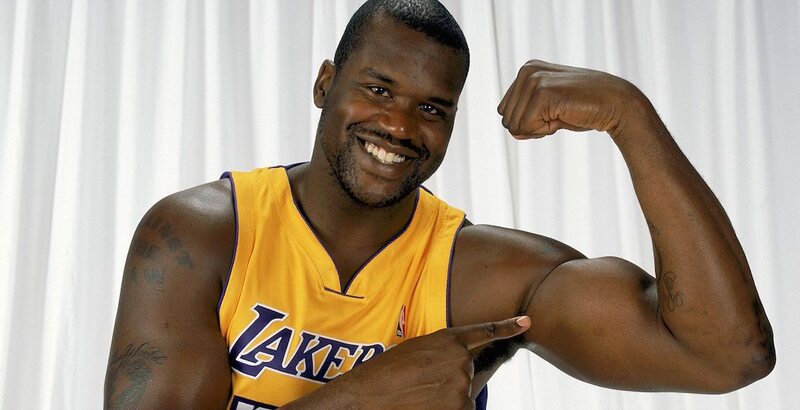 McKechnie was unable to meet O’Neal in Los Angeles, where Shaq was starring with the Lakers, so he suggested meeting him in Vancouver. Shaq rented “an awesome house” near Marine Drive and 21st St in West Vancouver for the summer, meeting McKechnie from 10 am to 3 pm every day at 8-Rinks in Burnaby. Instead of surgery, McKechnie got O’Neal to strengthen his core muscles to stabilize his massive frame. The following season, O’Neal scored 29.7 points per game, the highest-scoring year of his career. He also appeared in 79 games, the third-highest total he ever achieved. He capped off the season by winning his first-ever NBA championship. Shaq said he was able to get the contract he wanted, and more. “That was all because of ‘Mr. O Caaanadaaaaa’ he stands on guard for theeee,” Shaq said, singing in the radio interview. ‘Mr. O Canada’ will be inducted into the BC Sports Hall of Fame this year.